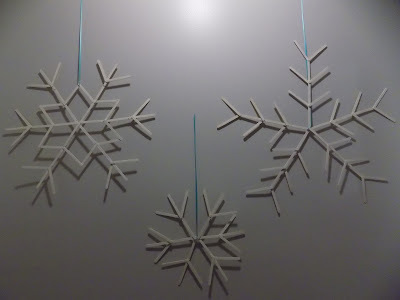 To help the house feel a little less bare after we took Christmas down I made some popsicle snowflakes. They were super easy to make and really added something to our walls. 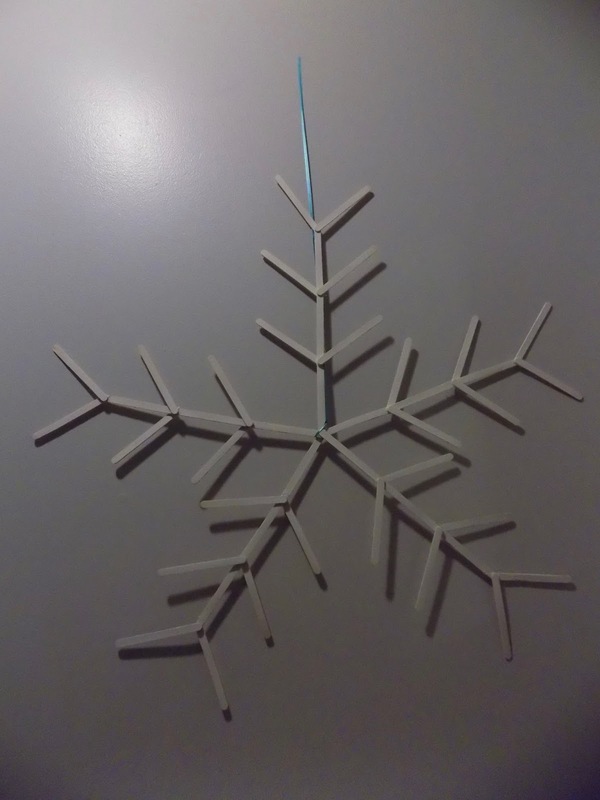 Organize your popsicle sticks into your desired shapes. 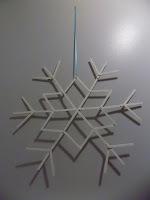 If you need some inspiration you can find a lot of different shapes on Pinterest. 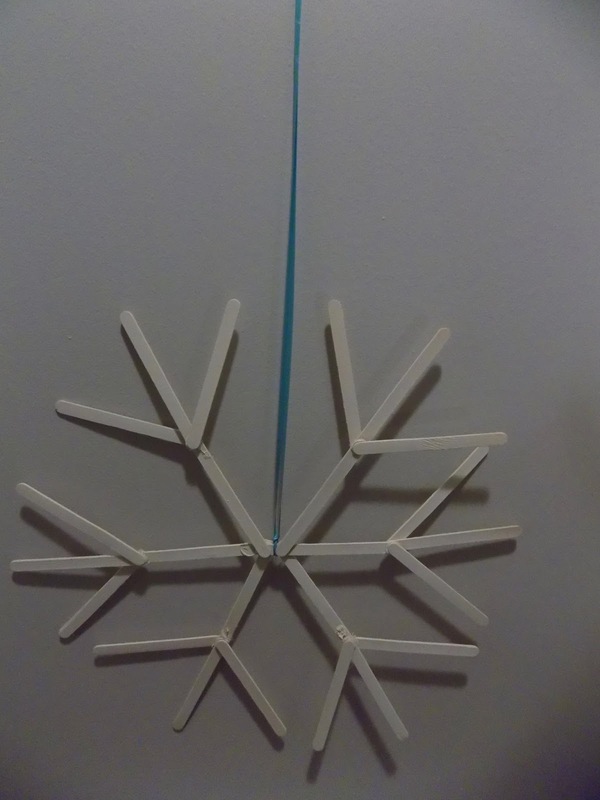 Glue your popsicles into place. Once dry paint your popsicles sticks any color you prefer. 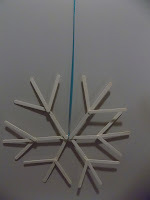 Tie some ribbon around your popsicles, hang them up and you are done! 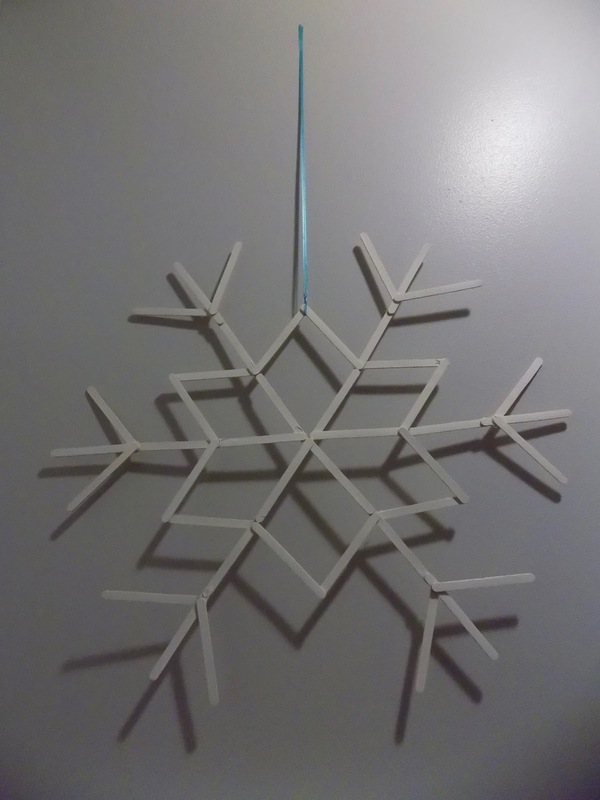 What are some of your favorite winter crafts?